Throughout the years we have shared with you Martin’s interest, actually fascination, with insects. So much so that for several months last year we hosted two beetles we fondly named Natasha and Boris. This interest not only includes the study of their habits but extends further to the study of their habitats, behavior and skeletal structure. Therefore, many of our vacations and weekend excursions are planned for the very purpose of scouting for and studying many of these creatures. All of this research and study enables Martin to apply amazing detail to not only custom hardware pieces but also to the bronze sculptures and paintings he has been working on. While photographs and more information on these pieces will be available soon, rest assured that the wait will be worth it. Here are a few examples of some of the custom hardware pieces, in actuality miniature sculptures, that we offer in our collections. The same labor intensive casting process is used in our smaller hardware pieces as is used in our larger sculptures and custom projects. Please make note of the exquisite detail in each and every piece. 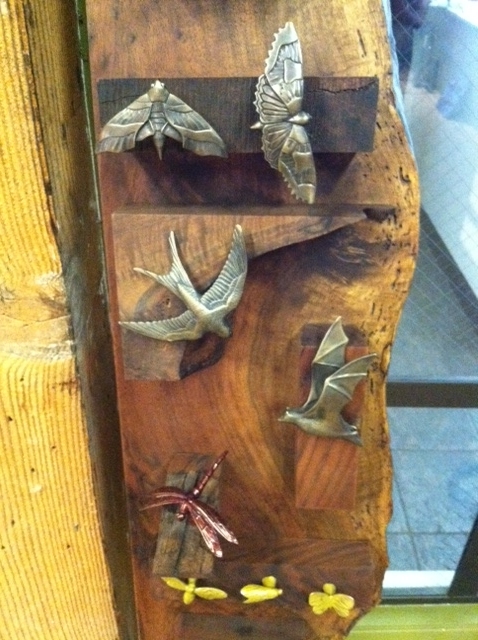 Wasps feature prominently in some of Martin’s new work. 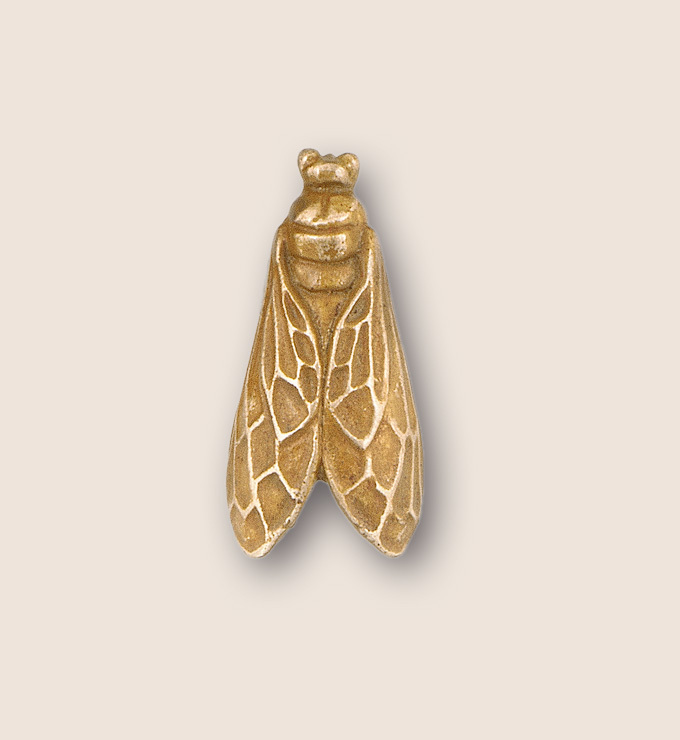 However, our Animal collection of architectural hardware includes a bronze wasp drawer pull that is available in both an open wing and closed wing design. The beautiful detailing on the wings adds dimension and texture and would be a wonderful addition to the decorative design of a retail boutique, spa or residential project. 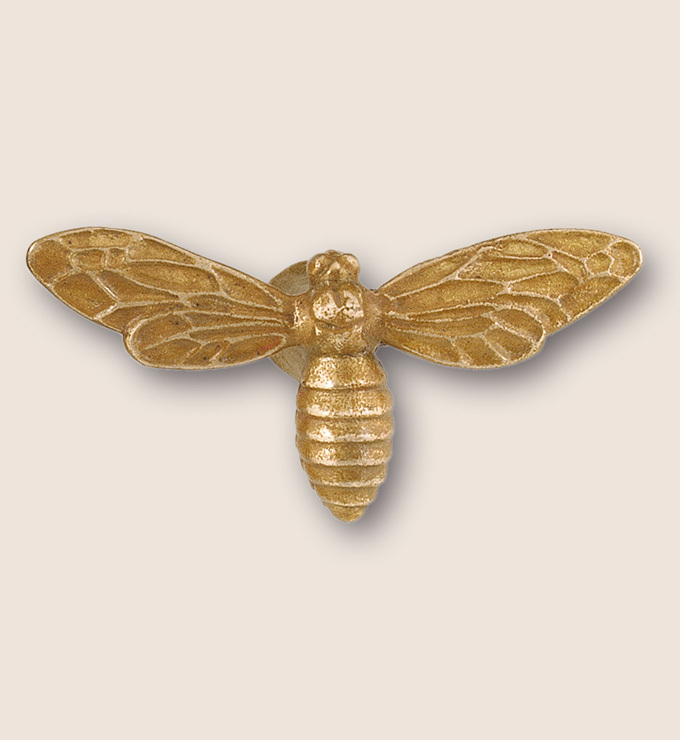 Many items from our various collections, including the wasp pull, are artfully displayed at Folger & Burt’s showroom in San Francisco. To view our entire collection of custom hardware or to discuss your own hospitality design project, please visit our site at http://www.martinpierce.com. This entry was posted in architectural hardware, custom door hardware, hospitality design ideas and tagged bronze hardware, bug drawer pulls, wasp drawer pull. Bookmark the permalink.